The often controversial Google Books program, Google’s effort to scan and digitize every book ever printed has an interesting new addition: hand scans. According to the Sydney Morning Herald a similar image appears in The Trial and Death of Socrates by Plato as well, but unfortunately they didn’t narrow down which edition; Google Books has numerous print versions of the classic tale on file. 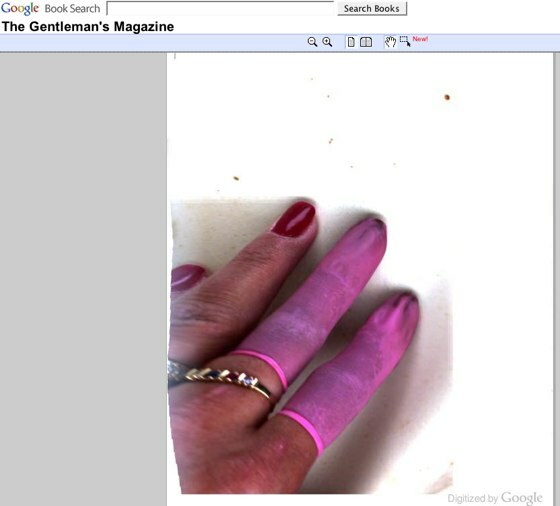 If you’ve spotted any other hand scans in Google Books let us know.